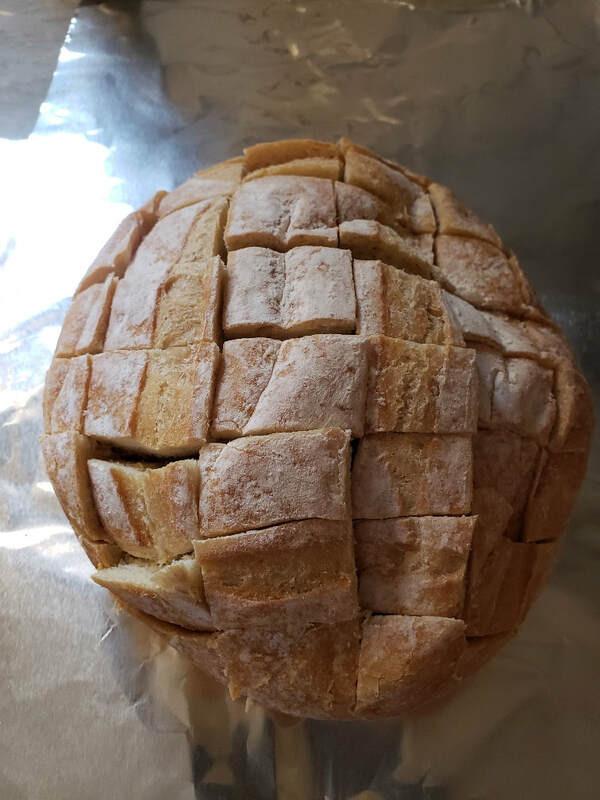 Cut the loaf of bread with a serrated knife both horizontally and vertically, being careful not to cut all the way through the loaf. Move the bread to a large sheet of aluminum foil placed on top of a baking sheet. Stuff both of the cheeses inside the cracks of the bread. Combine the melted butter, dijon mustard and lemon juice. Pour half of this mixture atop the cheese, making sure it gets into the cracks of the bread. Sauté the mushrooms, shallots and garlic in olive oil over medium heat in a saute pan for 5-6 minutes, or until they begin to soften. Season to taste with salt and pepper. Place the mushroom mixture atop the cheeses, pushing down lightly to pack all of the deliciousness inside. Sprinkle the chives and poppy seeds evenly atop the bread. Pour the remaining butter mixture over the bread. Bake at 350 degrees for 35-40 minutes or until golden and melted. Remove from oven and let rest on a cutting board for 10 minutes. 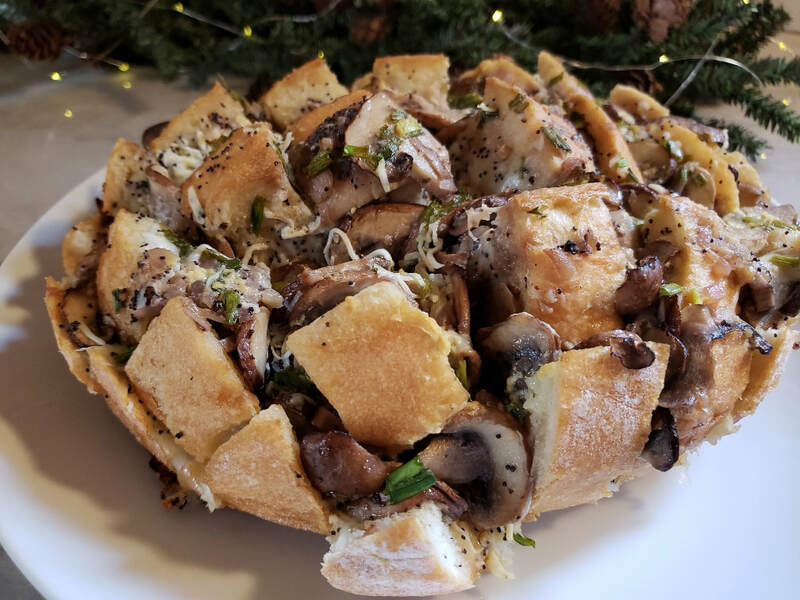 Pull apart and enjoy!